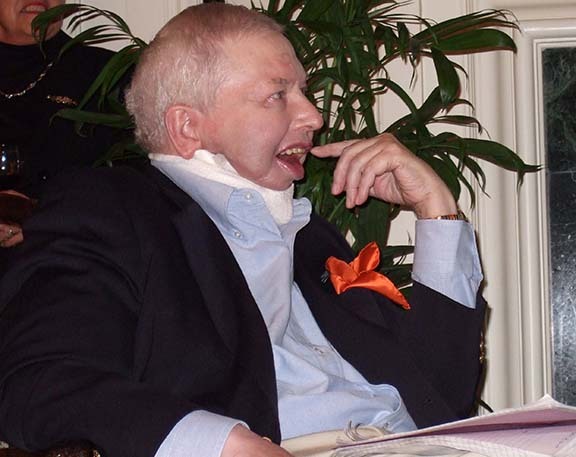 Roger Ebert listens to Chaz's introduction at the opening night reception. 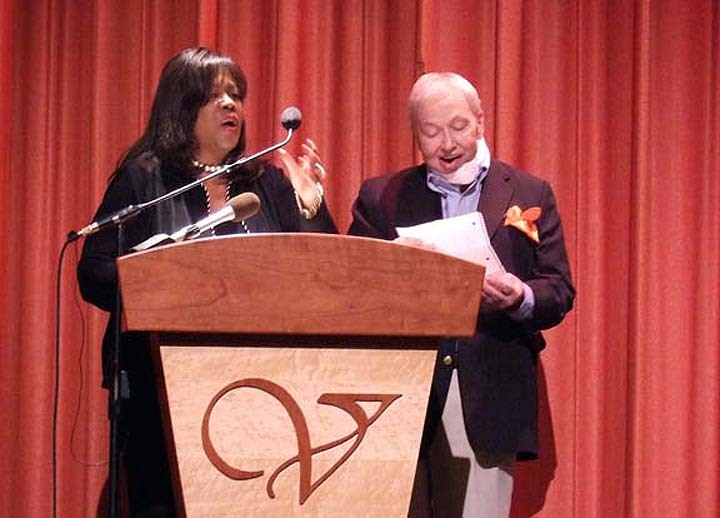 Chaz Ebert introduces her husband to the opening night crowd from the stage of the Virginia Theatre. 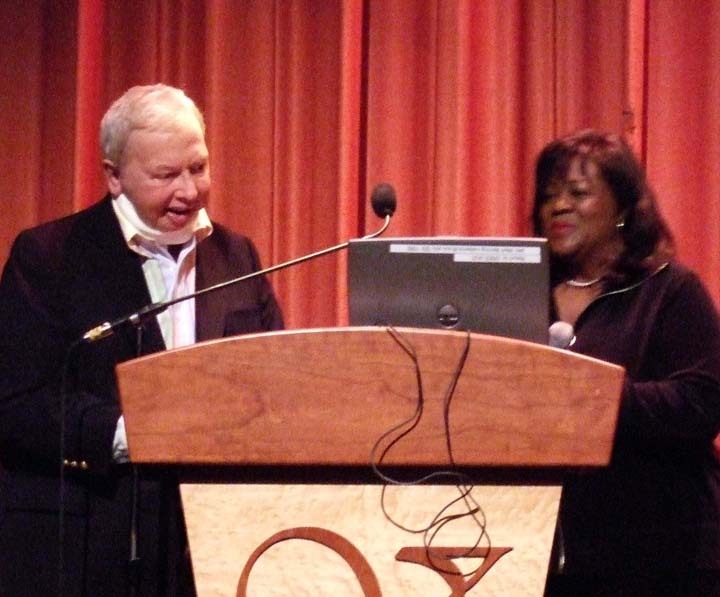 Roger with "Beyond the Valley of the Dolls" star Marcia McBroom-Small (Petronella, aka "Pet"). 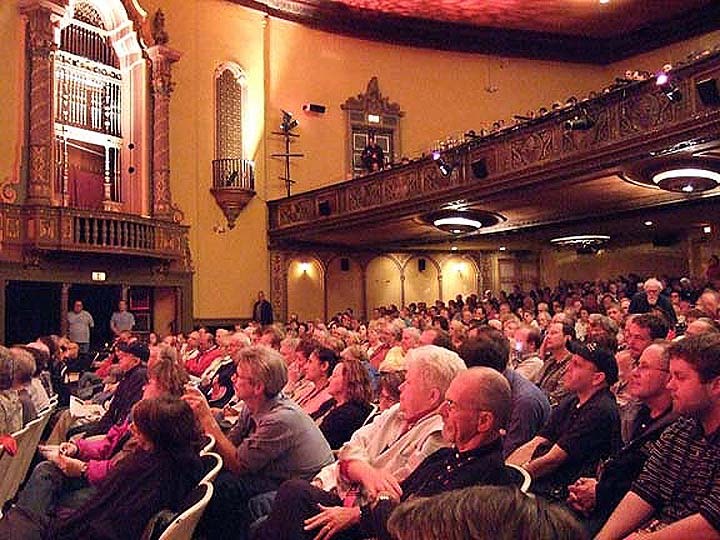 The crowd is in the house and all is quiet outside, just before "La Dolce Vita" hit the screen Friday night. 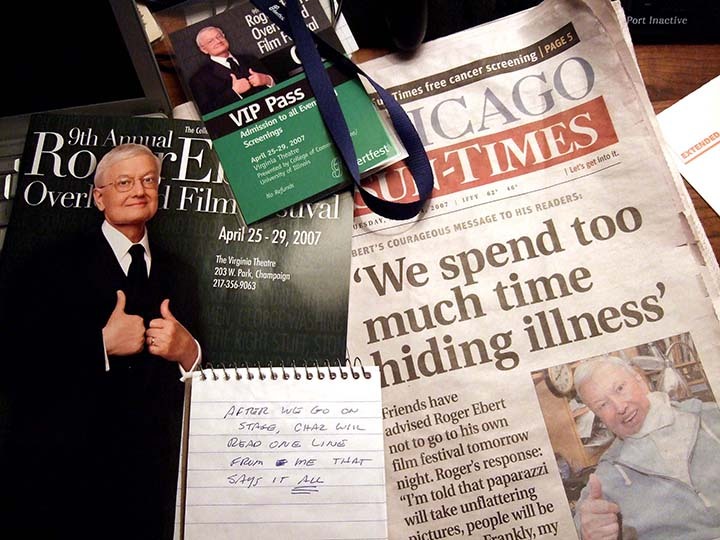 Ebertfest '07 begins with a bang -- on the front page of the Chicago Sun-Times. Enlarge to see Roger's note about Chaz's opening remarks -- which kicked off with the the immortal line from "BVD": "It's my happening and it freaks me out!" 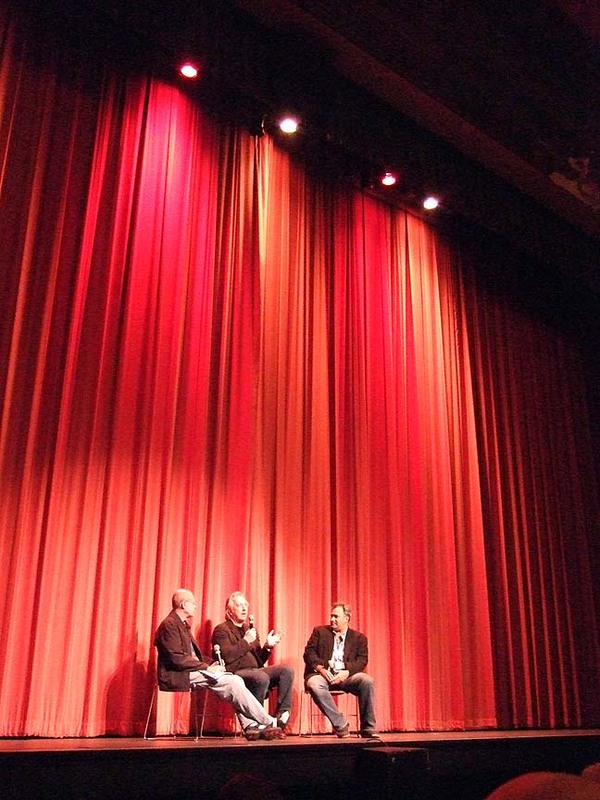 To give you an idea of the scale of the Virginia Theatre, here's festival director Nate Kohn, actor Alan Rickman and blogger David Poland on stage after "Perfume: The Story of a Murderer." 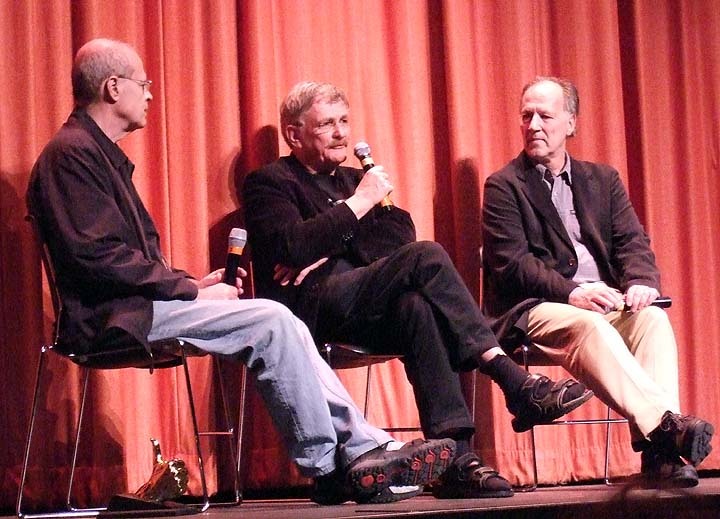 The 'Scope movies -- "Gattaca," "La Dolce Vita," "Perfume" and "Beyond the Valley of the Dolls" (in a newly struck print) -- looked especially ravishing on this screen, with the expert projection of James Bond and Steve Kraus. 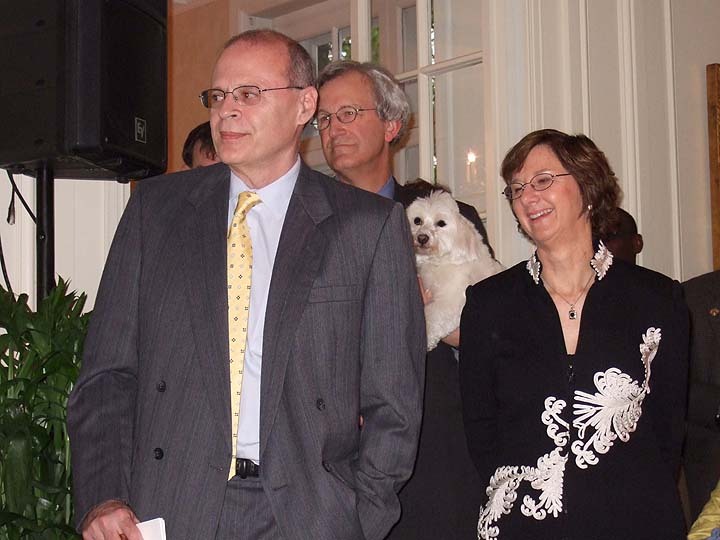 Festival director Nate Kohn, University of Illinois President Joseph White, Webster, and Mary White at the reception at the president's house. 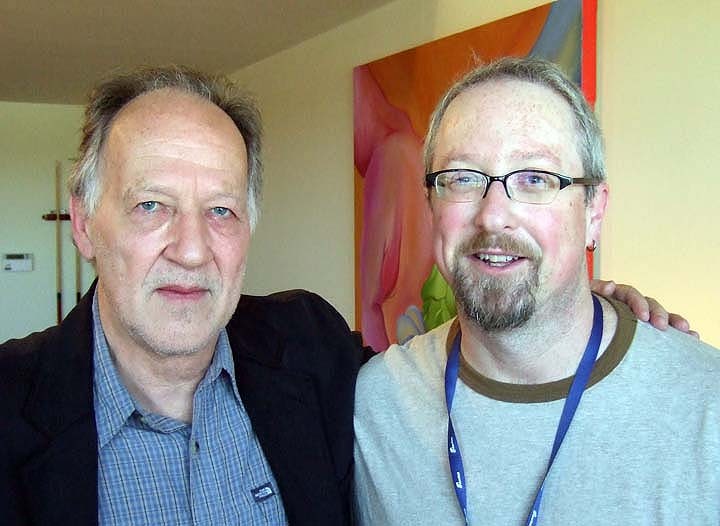 Nate with directors Paul Cox ("Man of Flowers" and Werner Herzog ("Stroszek"). 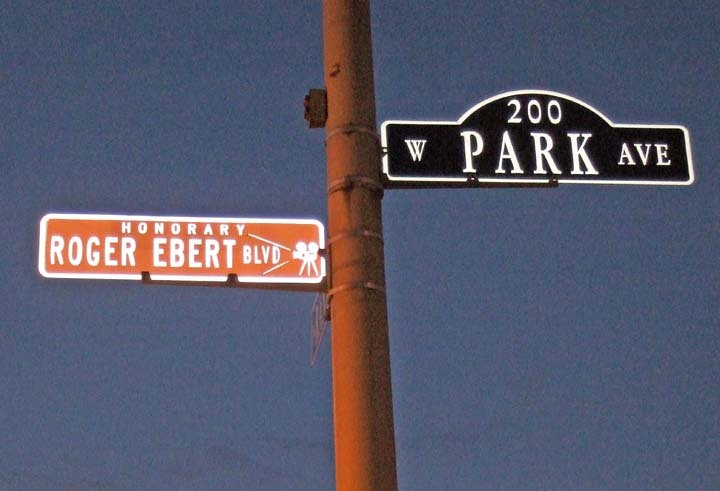 Meet me at the corner of Roger Ebert and Park -- location of the Virgina Theatre. What an audience! 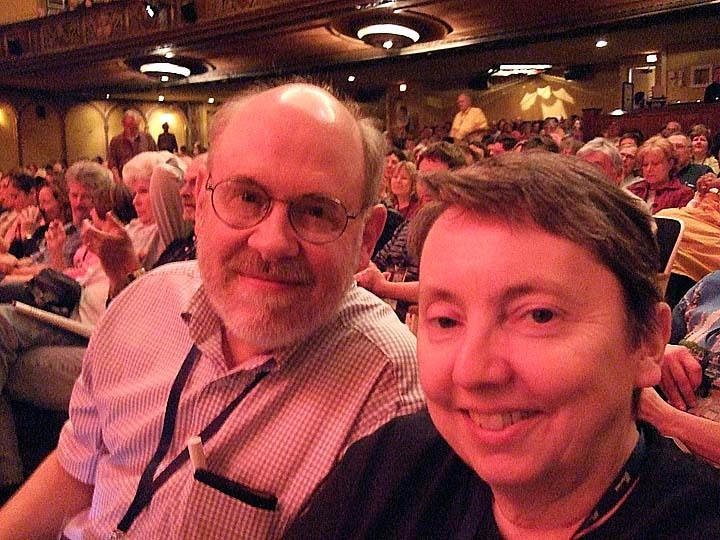 David Bordwell and Kristin Thompson, third row, house right. No, they're not blushing. That curtain is RED. 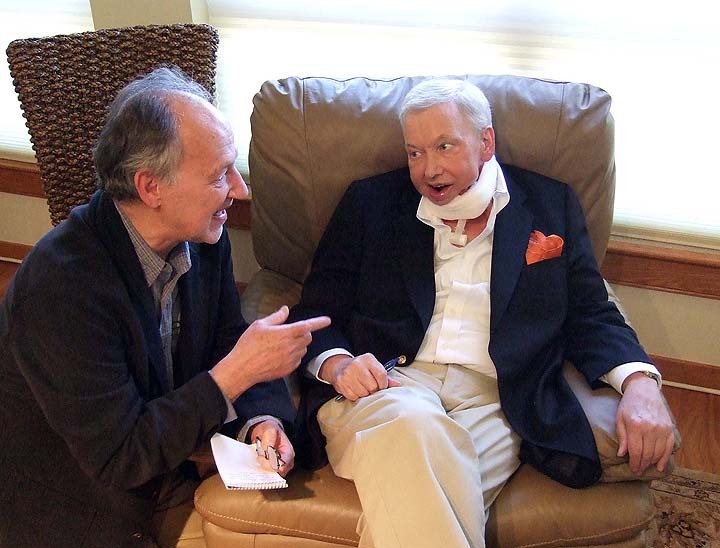 Roger and Chaz prepare to let the laptop version of HAL 9000 do the speaking for Roger before the matinee of "Holes." 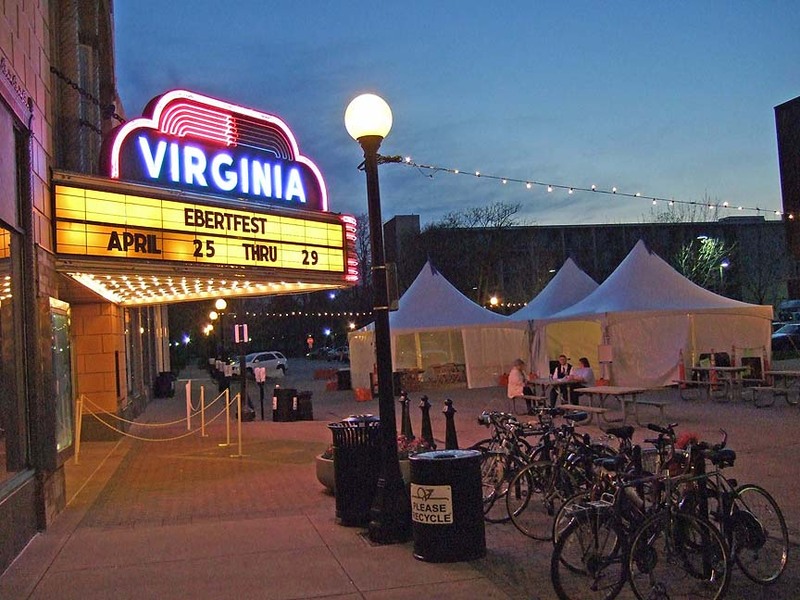 Big and beautiful: For most of the filmmakers who attend Ebertfest, this is the single biggest audience with whom they'll ever see their movie. It's an overwhelming experience. 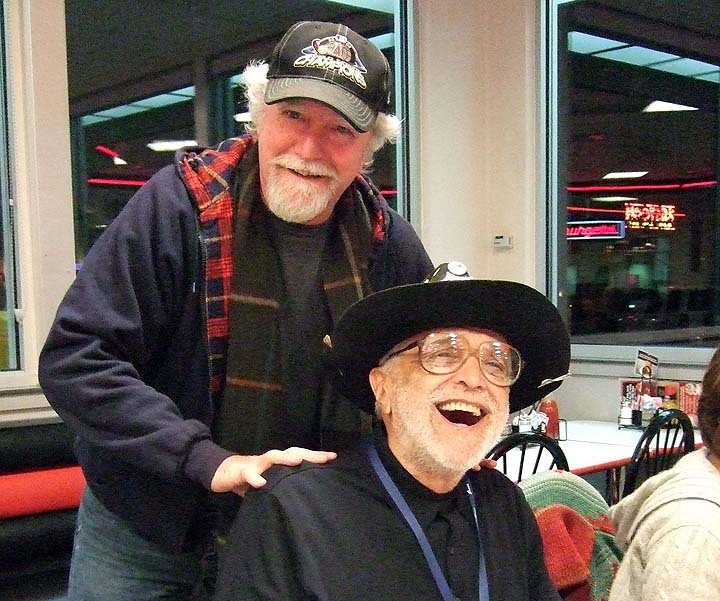 Scott Wilson gives Dusty Cohl, OC, a traditional Steak 'n Shake massage. 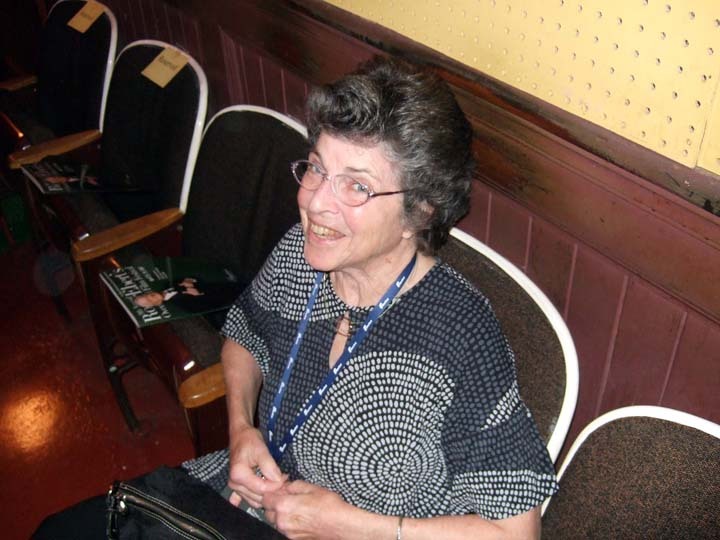 Lady Joan Cohl holds down the fort in the last row. 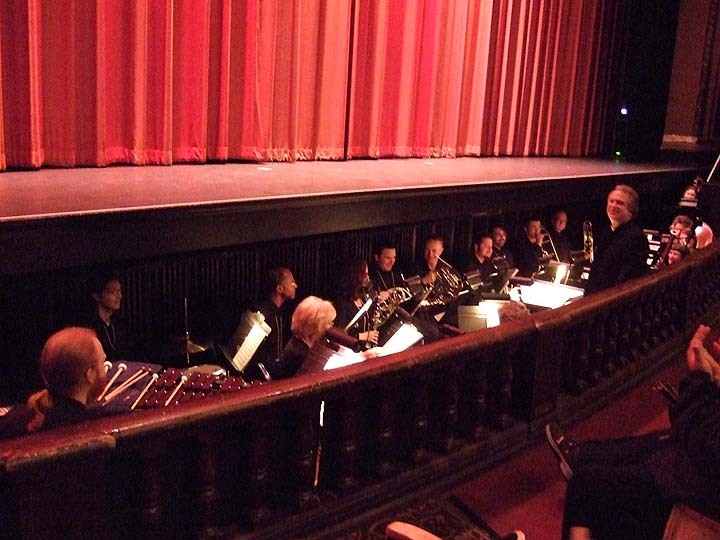 The Champaign-Urbana Symphony Orchestra (or select members thereof) under the direction of Steve Larsen, perform Joseph Turin's 1986 score for Raoul Walsh's 1928 "Sadie Thompson," starring Gloria Swanson and Walsh himself. The 97-minute score is written for 18 musicians: two flutes (piccolo double), oboe, two clarinets (bass clarinet double), two bassoons, two horns, two trumpets, two trombones, two celli, string bass, piano, and percussion. 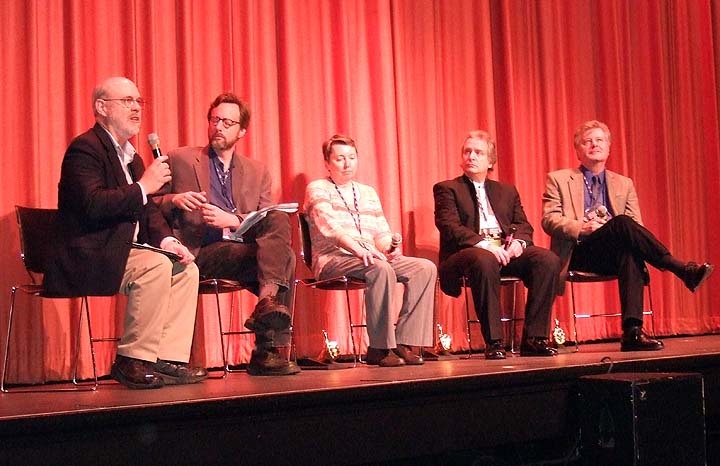 David Bordwell, Chicago Tribune critic Michael Phillips, Kristin Thompson, conductor Steve Larson and composer Joseph Turrin on stage after "Sadie Thompson" (introduced by her distant cousin Kristin). Note the thumb statuettes on the floor. These are the new models, cast from Roger Ebert's hand and made of the same material, and by the same company, as the Oscar statuettes. Next Article: High rollers and lowlifes Previous Article: "This is not HAL 9000..."
"This is not HAL 9000..."